In Brazil, the Forest Compensation Law of the Federal District defines how much land should be restored to compensate for vegetation removal by, for example, real estate and urban infrastructure projects. The current law is criticized for two main reasons: (1) it imposes too high a cost for entrepreneurs to comply to the law; and (2) it is environmentally inefficient, as land used for compensation is not required to have the same biodiversity and ecosystem services as areas that are cleared. The law defines a fixed amount of 30 trees to be replanted for every tree that is removed. As this approach does not consider any ecological aspects other than the number of trees, such as rarity or relation to hydrological resources, the environmental benefit of the current law is questionable. To overcome these problems, a new forest compensation policy has been proposed by the Environmental Department of the Federal District (SEMA-DF) and the inter-institutional collaborative network Aliança Cerrado. 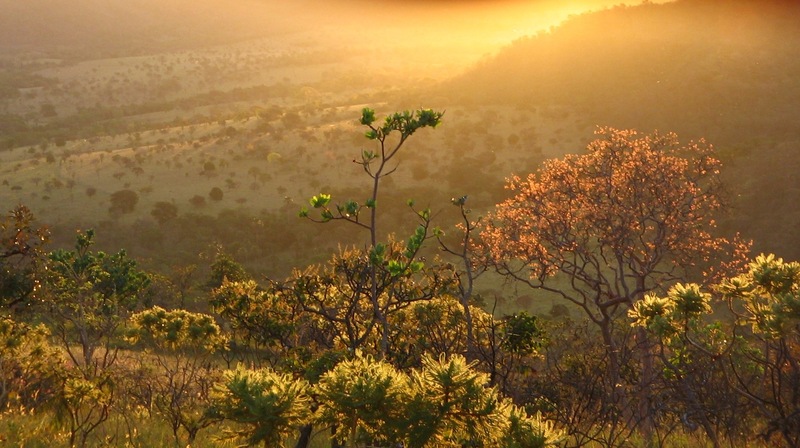 CSF-Brazil contributed to the design of this new law by assisting the government with the definition of the ecological equivalence levels for the tropical savannah (Cerrado) biome. These levels determine the exchange ratios between areas with different attributes in order to keep the net ecological value constant after the compensation occurs. In our study, which was concluded in December 2016, we used an ecological equivalence formula derived from expert opinion to compare the quality of both the deforested land and the land used for compensation. The calculated compensation rates vary according to the characteristics of the areas, which, in this study, are given by the state of soil conservation, proportion of exotic vegetation, rarity of native vegetation, and proximity to water resources. Considering current requirements and the cost of compliance, as well as the imperative of ensuring an environmental gain and accounting for risks, our policy recommendation is that developers reforest or protect land whose ecological equivalence is higher than the land degraded. From an economic perspective, our study showed that compensation using a multiplier - which guarantees that there is not only the ecological equivalence after compensation, but additional ecological gains - is both significantly cheaper for landowners when compared to the cost under the current policy, and likely to generate real environmental gains. CSF-Brazil's Pedro Gasparinetti collecting data for our study in October 2016. In sum, this study shows that the proposed new Forest Compensation law of the Federal District can guarantee the achievement of the environmental objectives in an economically efficient way. Our results have been presented and have been used by SEMA-DF in the design of a new decree proposal that has been sent to the government. This study was funded by the ValuES project and the German Corporation for International Cooperation (GIZ), and was conducted in partnership with SEMA-DF, Ministry of the Environment (MMA), Chico Mendes Biodiversity Conservation Institute (ICMBio) and the Aliança Cerrado. To download our publications, please click here for our Policy Brief, and here for our Technical Series (publication in Portuguese). For more information about our project, click here.